Gangster Land DVD release date was set for January 16, 2018 and available on Digital HD from Amazon Video and iTunes on December 1, 2017. Jack McGurn is a genuine tough guy. As an amateur boxer he was nicknamed "Machine Gun" for his hard, rapid fire punches. When a career in boxing slipped away, McGurn found a new way to use his fists for the Chicago mob. Things move quickly as McGurn climbs the ranks and finds himself answering to no one but Al Capone. 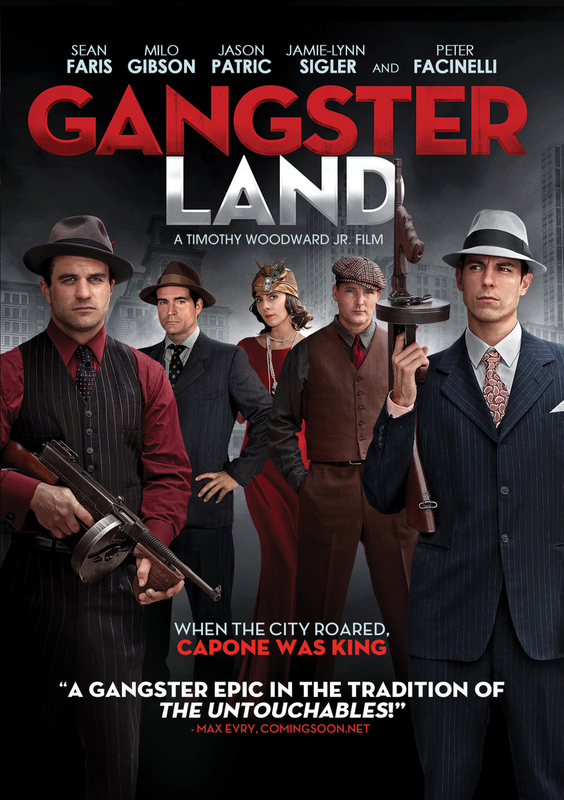 As the capo regime of Scarface's empire, McGurn must face treachery and betrayal as he tries to remain on Capone's good side.